The mobile advertising world was rocked in February of this year when startup Shine started announcing network level ad blocking agreements with the mobile phone companies such as Three. For an industry largely built on impressions, be they display, remnant or indeed programmatic; the idea of suddenly having a permanently reduced inventory has instant and massive implications for their P&L. On the other hand, it’s easy to see why both consumers and mobile networks are turning to ad blocking technology. Spray and pray broadcast advertising doesn’t work on mobile devices. These are intensely personal super computers that never leave our side. They are the last piece of technology we see at night, and the first we see every morning. They collect location and behavioral profiling data, store our personal and business lives, keep tabs on our sleep patterns, our health activity, and even remember when we are feeling a bit low. To be sure, there has never been an invention as personal, all consuming or addictive as the smartphone. But strangely, our models of advertising seem to be stuck in the broadcast TV era, when one could attribute value to reaching millions of captive eyeballs with little complaint. In truth, marketing is omnipresent in our modern lives, from TV, radio, billboards, print, digital through to more subtly nuanced product placement and sponsored content. But there is a problem: consumers are sick to death of being sold to so obviously. Millennials are so finely attuned to advertising clichés that they would rather switch off all adverts then wait for a piece of relevant content. 35% of 18- to 24-year-olds in the UK are saying they have blocked ads. And this is an even bigger problem for ad agencies. 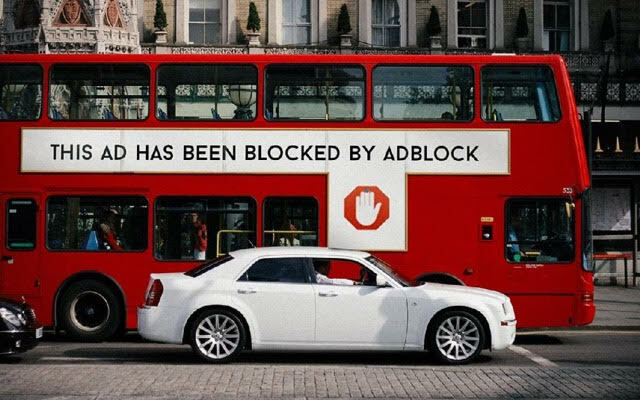 Once the ad-blocking switch has been flipped, the chances of consumers being sufficiently engaged with the creative genius of a campaign, engaged enough to spend money, are greatly reduced. The entirely justifiable question from consumers of “what’s in it for me?” is answered by a vacuous silence. But with advertising funding some of humanity’s most used and best-loved platforms, it’s clear that consumers are indeed the product. Facebook and Google sell our information, history, preferences and behavioral patterns to the highest advertising bidder. But these particular models work on mobile. Why? Extreme personalization. For the most part, consumers will happily trade a bit of privacy in return for less noise. Facebook in particular has seemingly cracked the right balance between creepy and cool, despite having had a historically cavalier attitude in the area of respecting user privacy. But aside from the titans of relevant personalization, what can advertisers do to reach the mobile savvy and ad-weary millennials? Apps can be an amazing brand companion, but the market is deeply saturated. According to Comscore, the average number of apps installed by the average American per month is zero. The chances of your brand’s app actually gaining traction are slim to zero. Once an app is installed the statistically slight chances of it being used more than once reduces the odds even further, unless you are a utility app such as banking, or one of the Over-The-Top (OTT) messaging apps which account for 6 of the top ten apps used globally. But there is another way. Brands and agencies can leverage the most widely used communication technology on the planet, mobile messaging. Today, SMS can reach over 6 billion people globally. 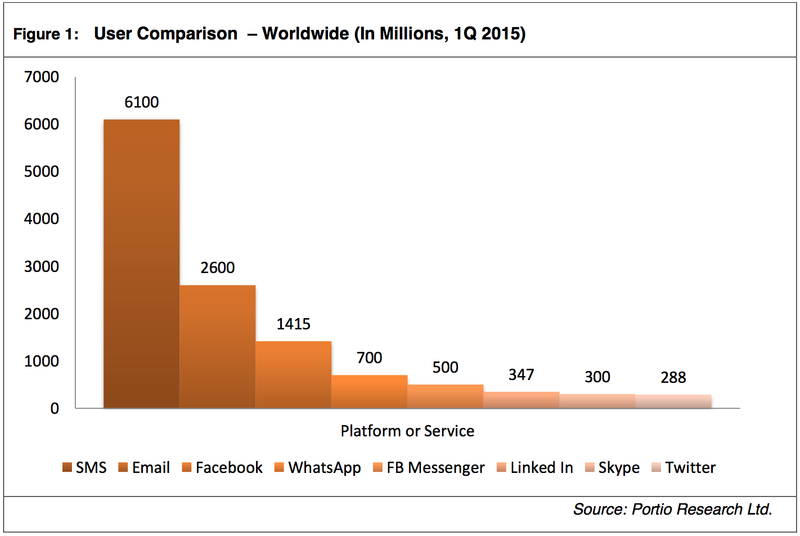 Compare this to the reach of Facebook. In comparison only 2.2 billion people regularly use social media sites. Indeed, according to Portio Research, there are 2 billion smartphone users compared to 6.1 billion people with an SMS-capable mobile phone. Compare this again to the 2.6 billion people who have one or more email account, and the 3.1 billion people who have access to the Internet. Global SMS is indeed the sleeping giant of the marketing world. SMS is also famous for its phenomenal open rates of 95%, mostly within a few minutes of receiving. But, and herein lies the “secret sauce” of SMS, these messages are two-way, they are interactive, people can reply and initiate further interactions with brands, building trust and adding genuine value. One example might be an acquisition drive for shoppers to join a retailer’s database for vouchers and exclusive offers. A mobile keyword and short code can be used in the following way: to join our VIP Offers club text “VIP” to 88600. This message takes around 5 seconds for a consumer to action, and is so short and snappy it can be used on all point of sale material, shelving displays and till receipts. For one American chain of hardware stores, the average ROI for this kind of SMS campaign reached over $400 per shopper. Of course, once the consumer has opted in, the retailer can send relevant and timely offers, even leveraging data sources such as weather forecasts. Is there a sunny holiday weekend coming up? Let your VIP database know about discounts on lawnmowers and garden furniture. Also let consumers use the same text short code for inbound customer queries and support. This all feels like VIP service, as opposed to being obviously sold to. Another hugely effective way to leverage the reach and immediacy of SMS is to include a short code on TV advertising. TV is still by its nature a broadcast medium, so how do you join this linear one-way format with the digital world? Include a short code on screen during your advertising. At OpenMarket we have supported some of the world’s largest charity fundraising campaigns, processing over £30,000,000 last year in the UK alone. The key to these unprecedented levels of success was the 5-second speed and ease of using the short code and keyword combination. But user acquisition is, of course, only the start of the journey for a brand’s relationship with a consumer. Once they have opted in using their mobile device, the challenge and opportunity awaits to serve people with hugely personalized offers and messages, at the right time, in the right way. SMS is a channel that more and more brands and agencies are turning to in the wake of network level ad blocking initiatives and high levels of app fatigue. In fact, research has shown that millennials prefer SMS as a channel to interact with brands, who are waking up to its immense commercial potential. Smart brands are looking at their relationship with the consumer as one continual end to end Customer Experience (CX) lifecycle with no silos between advertising, acquisition, customer service, fulfilment and advocacy. At the heart of all these interactions is the ubiquitous mobile device. There is still a place for broadcast advertising, but that place is not the mobile phone. At OpenMarket, we help some of the world’s largest brands to leverage the most personal, the most effective and the most ubiquitous marketing channel available on the planet. If you would like to know more about what we do, give us a call.